After World War II, Enrico Piaggio wanted to reopen his aeronautics business, but he opted for a change of industry, asking one of his engineers, Corradino D’Ascanio, to design a simple, inexpensive two-wheeler for the masses. Enrico Piaggio did not like motorcycles. He found them uncomfortable, cumbersome, hard to handle when they got a at tire and dirty. So he set out to tackle each of those problems, resulting in the birth of a revolutionary two-wheeler. To eliminate the drive chain, he envisioned a vehicle with a stress-bearing body. To make it easier to ride, he put the gear lever on the handlebar. To make tire changing easier, he designed not a fork, but a supporting arm and even thought up a body design that would prevent the driver from getting dirty! The rst model was produced in April 1946 and it owes its name to Enrico Piaggio himself who, upon seeing the prototype, exclaimed: “It looks like a wasp!” Vespa, the Italian wasp, was born. It is hard to pick the most representative Vespa from a line that has been evolving for 60 years and has more than 150 models, versions and variations. What all the models have in common is the authentic technical prowess that has marked the history of Vespa and the innovation tradition that has driven the trajectory of this peerless scooter. From the rst Vespa 98 to the Vespa PX, Vespa Sprint, Vespa S and 946 Vespa, the Vespa style has been updated over the years without ever losing its mythical allure. The Vespa quickly earned a following and drew attention. 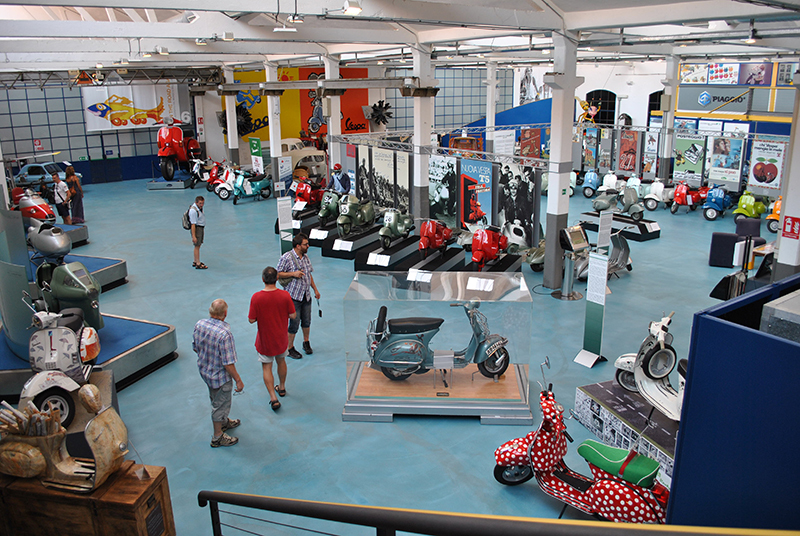 Sales rose steadily: from 2,484 scooters in 1946 to 10,535 the next year and 19,822 units in 1948. By 1953, some 171,200 scooters were sold. Foreign markets watched with interest as the scooter started to take off, with public and press alike showing curiosity and admiration. The Vespa was such a triumph that it become much more than a mere business phenomenon: it was a social phenomenon! During the dolce vita years, Italy was synonymous with the scooter and foreign reporters dubbed it “the land of Vespas”. 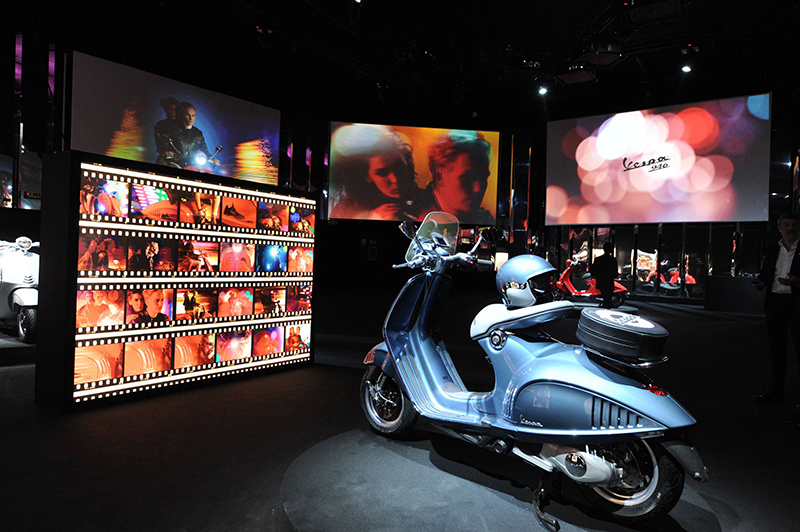 The role of Vespa in popular culture – not just in Italy but in other countries – can be measured by its presence in hundreds of lms, which established it in the collective imagination as the most glamorous and iconic scooter in the world. It began in 1953 with Audrey Hepburn and Gregory Peck in Roman Holiday. The list of internationally famous actresses and actors that would appear in movies or photo shoots on a Vespa is long and illustrious: Raquel Welch, Ursula Andress, Geraldine Chaplin, Joan Collins, Jayne Mans eld, Marcello Mastroianni, John Wayne and more. In November 1953, the 500,000th Vespa left the plant’s production line, followed by the millionth in June 1956. 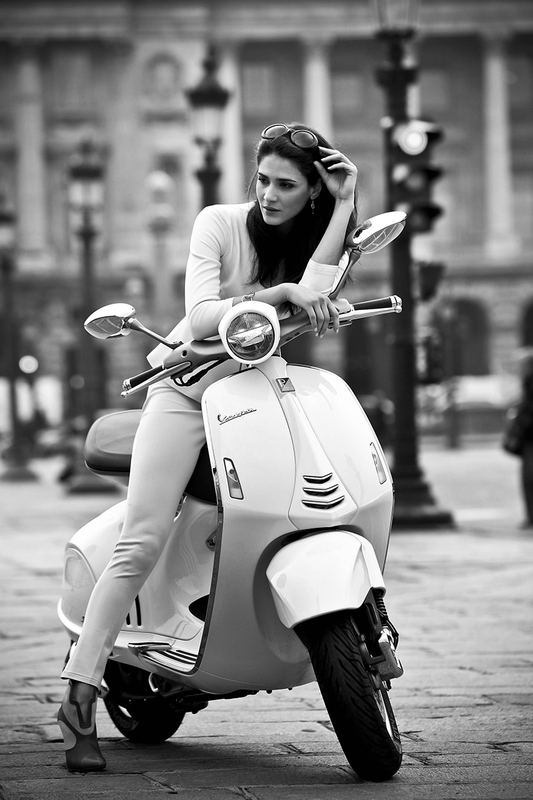 In 1960 the Vespa passed the two-million mark, reaching 4 million in 1970 before hitting 10 million models sold in 1988! It is a unique phenomenon in the world of two-wheeled motorized vehicles; more than 18 million Vespas have been sold to date. The best-selling model is the authentic 1977 model, the Vespa PX, which sold more than 3 million units. 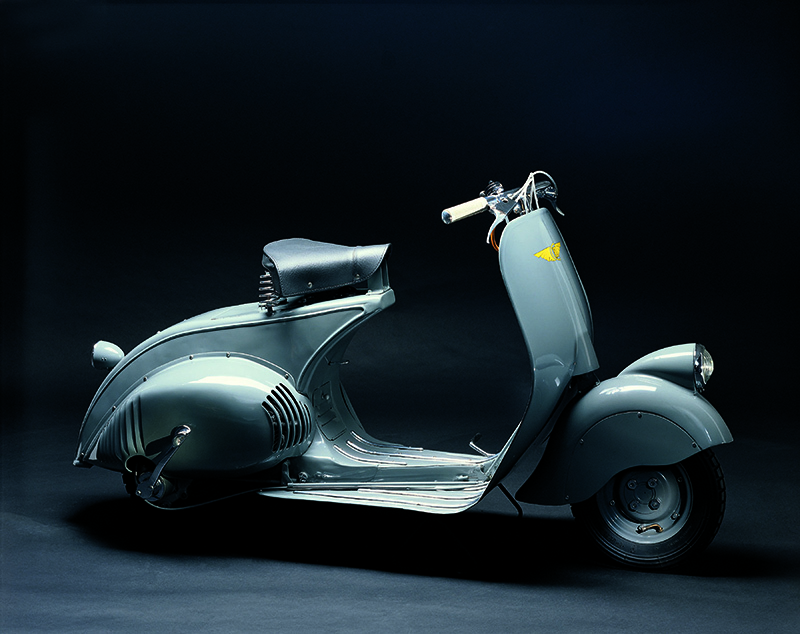 The Vespa legend emerged practically at the same time as the scooter itself: from the rst days of the wasp in 1946, its fans began gathering to share their passion. The rst Vespa Clubs cropped up in Italy and abroad, leading to the creation of the Vespa World Club in 2006 to coincide with the 60th anniversary of the Vespa. Every year, Vespa Clubs from across the planet come together at a major event: Vespa World Days.